As local business owners, entrepreneurs, and community leaders we are continually faced with opportunities to not only sell our services and products, but to sell ourselves. The confidence and clarity that we convey can mean the difference between success and failure. I spoke with Daniel Flood of Toastmasters about what the organization has to offer, and how it helps our community. Why was Toastmasters created, and what does it do? Toastmasters was founded in 1924 by Dr. Ralph C. Smedley. Smedley began working as director of education for the Young Men’s Christian Association (YMCA) after he graduated from college. He observed that many of the young patrons needed “training in the art of public speaking and in presiding over meetings” and Smedley wanted to help them. In addition to public speaking and leading meetings, evaluation of the speaker’s strong points and areas for growth were provided at each meeting allowing the members to develop their skills in a supportive atmosphere. What a great idea! What types of opportunities are lost when individual are unable to clearly and confidently convey their thoughts and ideas? For a speaker, you have only seconds to make a good or bad first impression. Why leave it to chance? How many job/career opportunities have been lost due to being unprepared to speak or speak poorly? We are all constantly in “selling” mode. At work, with our family and in public, we are trying to get others to benefit from our perspective. Those who communicate well in all their environments usually find greater success. Through poor communication, the lost opportunities are countless. Communication isn’t optional, it’s mandatory. You might as well learn the best way possible, don’t you agree? Toastmasters uses “systematic desensitization” to build skill and wear away the fear of public speaking. As with anything you have sensitivity to, with practice, support and feedback from others just like yourself, the experience soon moves from scary to doable to pleasurable. 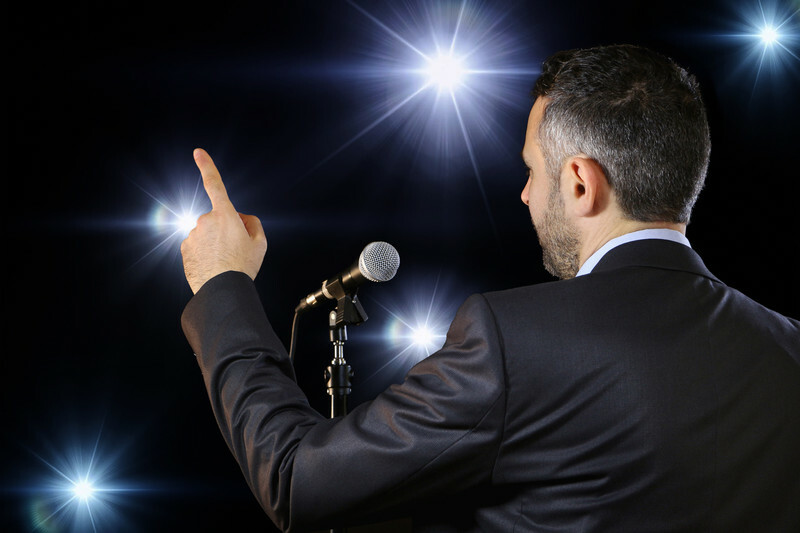 In view of public speaking, the more you practice the easier it gets. The hardest part is just to “get in the game.” Just come to a meeting and check it out. What have you got to lose, except your fear? You have witnessed how Toastmasters has brought benefits to the lives of many of people. Can you tell us about a recent success story? Sure. One example is Roanna R., a member of the University Toastmasters Club, who gave her professional presentation before a large audience at an international conference advocating the birth rights of women held in the Netherlands. She was invited to present there because of the presentations she gave on the steps of our Capital. While she may have had the capacity to do this on her own, Toastmasters gave her the forum, mentoring, and skills to make her goals and dreams a reality. This is just one of many examples here in our local area. How can business owners in and around the Rogue Valley work with Toastmasters to sharpen their skills at public speaking and leadership? When are the meetings held, and how do we join? Club meetings are held in Ashland, Talent and Medford. Visitors are encouraged to attend several meetings prior to joining. See each club’s Vice President of Membership for details on how to join. Please arrive 10 minutes early as the meetings start at the times listed below. Ashland: University Toastmasters. Meet Tuesdays, 7 PM, Ashland Library’s Gresham room. Contact Dave at 541-324-8694. www.universitytm.org. Talent: Jefferson State Toastmasters, Meet Thursdays, 6:30 PM at the Talent Public Library, Contact Dan at 510-468-8995. Or visit www.toastmasters.org for more information.